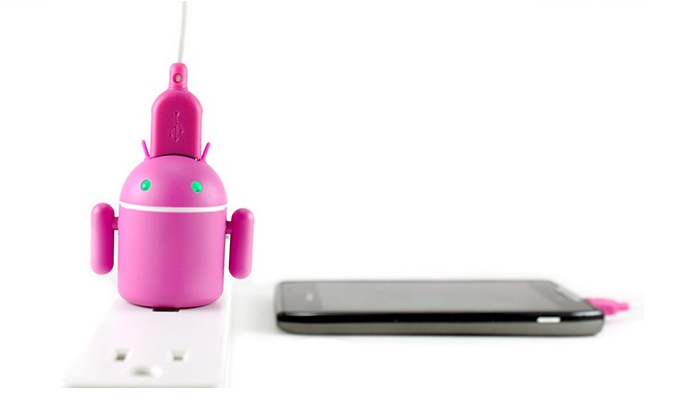 Andru, PowerbyGen's hit device charger based on our favorite robot, is unquestionably the most adorable adapter you'll ever see. Since his debut last year, Andru has been joined by white and dark versions and international accessories. Today, PowerbyGen has expanded the family with Andra, a "more graceful" alternative to "her hunkier companions." 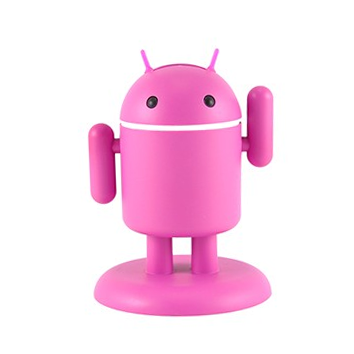 If you're familiar with Andru, you already know what you'll be getting with Andra: a pink version of the charger, with pose-able arms, a stand, and light-up eyes. To contrast with her pink exterior, Andra's eyes light up green. Like her green counterpart, Andra will cost you $25, with EU and UK adapters (in green) running $6.99 each. If you've been eyeing Andru but want something "somehow more rosy," Andra is for you. Those interested in buying should hit the link below.